Welcome to the Everyday Decisions Project website. Take a look around and find out more about the work that we are doing to find out about how people with intellectual disabilities make everyday legally relevant decisions. 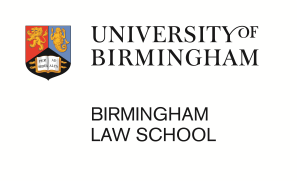 This research project is funded by the British Academy, and run by researchers from Birmingham Law School at the University of Birmingham. We’re interested in finding out how people with intellectual disabilities, learning disabilities, brain injuries and dementia make decisions in their everyday lives. We want to find out how well the law on mental capacity works.We’re interested in how well English law implements the UN Convention on the Rights of Persons with Disabilities. We are particularly interested in how effectively the Mental Capacity Act 2005 protects people with intellectual disabilities’ rights to equal treatment under the law, and how law or practice could be changed to make things better. Over the next few months, we will be carrying out some empirical research. We will be interviewing with people with intellectual disabilities and also with people who work in social care, supporting people with intellectual disabilities. If you would like to find out more about that part of our research, please take a look at the information on this website about taking part. We’ll be posting regular updates here on this blog, and when we do, we want to try to make our work as accessible as possible. If we publish information that is very complicated, we’ll try to offer an easier to read version so that everyone who is interested in this research can find out more about it. If you see something on our site that you would like us to make clearer, then please get in touch. We’d love to hear from anyone who is interested in this research, and would like to work with others with similar interests to our own. If that’s you, then please Contact Us.